The holiday season is creeping up on us fast! Regardless of what holidays you celebrate, you’re going to be breaking out those seasonal decorations. For many people, decorating for the holidays is a fun family activity. However, your decorations may be at risk of mildew or mold growth. Many people store their decorations in their basement or attic. These areas are known to be more susceptible to humidity. Attics can typically be very stuffy, and the inadequate ventilation can cause excess moisture buildup. Basements are usually built underground, so this causes them to be exposed to any moisture that may be found below the surface. Any cracks in your basement foundation walls can allow the moisture to seep through. It can damage not only the foundation itself but also the contents of your basement. Most people don’t just leave their decorations laying around haphazardly. We store them in a variety of containers and boxes. Storage containers are generally airtight. They don’t allow air to circulate inside of the container. The excess moisture from the environment they are stored in can become trapped inside the container.The moisture inside the container can seep in between layers of the materials used to construct the decorations. This can cause their integrity to break down. Fabric, wood and glue are easily broken down and rotted by this moisture. The stagnant air inside these vessels combined with this moisture creates the perfect habitat for mold and mildew to spring into action. 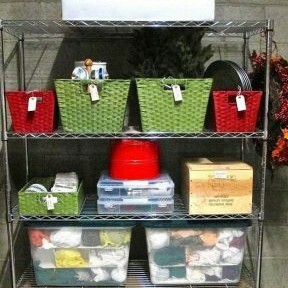 Since your decorations are stored in an area where humidity is increased, you want to dehumidify the air both inside the storage containers, and in the surrounding area. A small dehumidifier is perfect for the job. You want the humidity level in your attic or basement to ideally be below 30%-50%. You may even be able to find a small dehumidifier that can be stored right inside the container with your decorations. This will prevent any moisture from being trapped inside the container to fester with your trinkets. Reverse The Damage Done To Your Decorations! Your decorations are stored in the same area for the majority of the year. We only break them out when we are ready to use them again for the holidays. Imagine how musty they could have gotten just sitting there all that time! Most decorations weren’t designed to be cleaned, so it is our responsibility to protect them from excess moisture in the air. Whether you store your decorations in your attic, basement, or garage, there is a chance that the dank environment has done some damage. You may have even noticed an odor emanating from the area or the decorations themselves. Don’t worry, there are steps you can take to reverse the harm that has been done. Some decorations may be able to be cleaned. Glass and ceramic ornaments, along with any metal or plastic items should be relatively easy to salvage. However they are generally fragile so use caution if you choose to do so. If you are going to try to salvage your precious keepsakes from the damage of mold or mildew, do not use bleach. Hot water and some dish soap can do the trick. Be sure that you are wearing gloves and a medical mask while handling mold and mildew. Remember to thoroughly clean out your sink after you are done. As previously mentioned, a dehumidifier can be used to prevent excess moisture from getting to your decorations. However it can also be used to remove excess moisture that is already present. Leave the dehumidifier in the area in which your decorations are stored. A few days later you will notice a huge difference! It can even improve the musty odor that has gotten stuck on your decorations. Is It Too Late To Salvage My Decorations? Sometimes if a moisture issue goes unnoticed for too long, the damage can be irreversible. Signs of water and mold damage can include dark stains on wood, or a white chalky substance found in the area or on the decorations. If you suspect the problem is bigger than damaged holiday decorations, do not take matters into your own hands. Improper cleaning of mold or mildew can make matters worse. 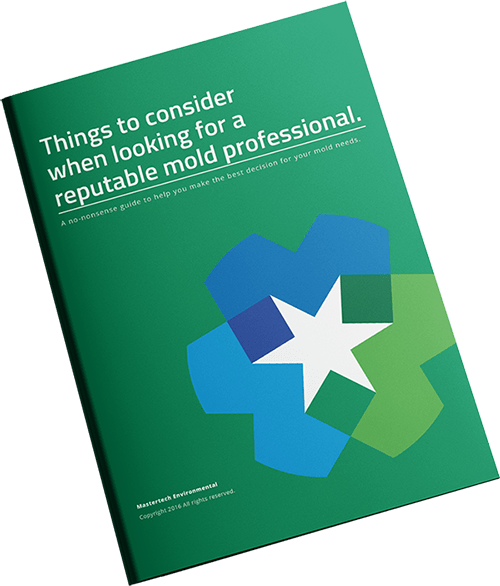 For the safety of you and your family, you should always contact a professional mold cleanup company to assess your home. Don’t let the inconvenience of your decorations being damaged by moisture doesn’t put a damper on your holiday season.